Last week I participated in Day 3 of the ePortfolio conference at Dublin Institute of Technology. The conference was part of a National Forum-funded project: An ePortfolio strategy to enhance student learning, assessment & staff professional development. The focus of the conference was not on eportfolio applications per se, but on eportfolios as a focus for learning design and pedagogies that support students and staff in developing broader digital literacies and digital identities, within and beyond formal education. I missed some of the excellent sessions (all videos will be available soon on the ePortfoliohub site) but two highlights of the day for me were Helen Beetham’s keynote Digital identities: resources for uncertain futures? 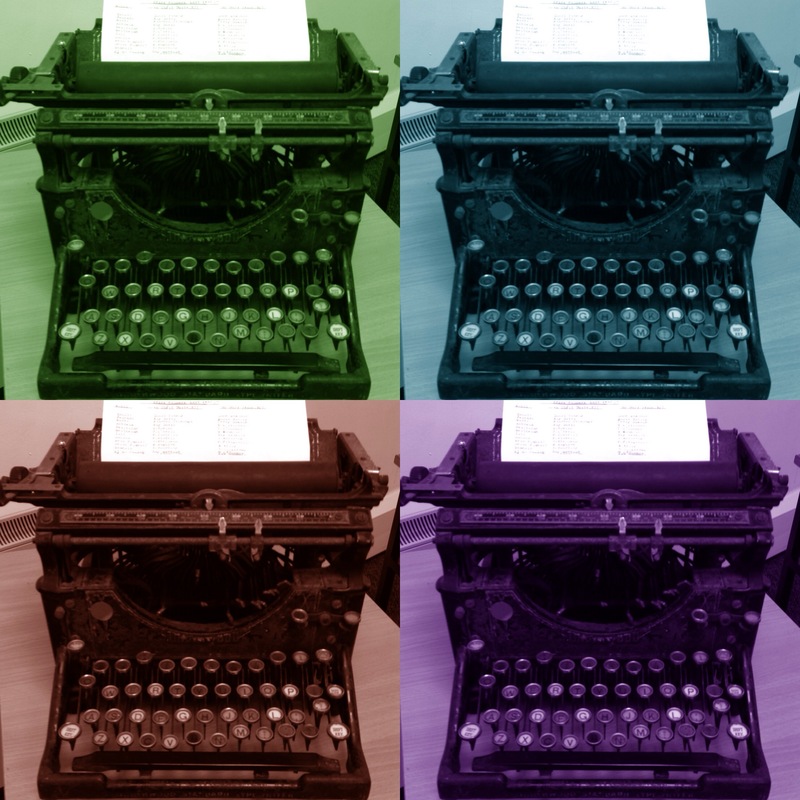 (summarised in her blog) and Bernie Goldbach’s workshop Creating collaborative portfolio objects – two posts well worth reading. Although this is structured as a short presentation it’s intended to be a conversation starter, a prompt for deeper discussion. I’m particularly interested in the questions and concerns that students and staff bring to these sessions. At a recent workshop, for example, undergraduate students raised questions about the Right to be Forgotten ruling, managing privacy settings, being authentic online, finding a blogging ‘voice’, navigating different networks, dealing with FOMO, what potential employers are looking for, and how best to use specific tools like LinkedIn and Twitter during the transition from student to graduate. What are my networks right now? What conversations do I want to be a part of? Who do I want to share with? Who do I want to I share as? What are some ways that I might manage my different private/public and social/scholarly conversations, networks and identities? To what extent, and in what contexts, might I separate or mix these conversations and identities? How can I support and empower students in developing their digital literacies and digital identities? What learning spaces do I create with and for learners? Who am I, and who are we, in those spaces? 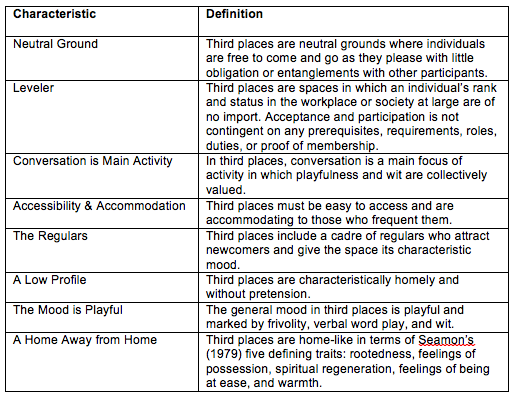 How best can I model and nurture democratic practices, particularly in open online spaces? There is a growing body of work in the areas of digital identity, digital literacies and digital capability that supports this process of open inquiry. The strength of much recent work is that it is increasingly integrated, for example: focusing not just on students or staff, but on students and staff together; broadening the definition of ‘staff’ to include adjunct, technical, library, and learning support staff; and looking beyond institutional roles and practices to consider social and civic as well as scholarly and professional identities. I think it’s useful, and potentially radical, to suggest that digital capability includes self-care, and that self-care requires a critical awareness of how digital technologies act on us and sometimes against us, as well as allowing us to pursue our personal and collective aspirations in new ways. Positioning wellbeing and self-care at the heart of institutional initiatives to build digital capability is both radical and vitally important. And it is just a start. 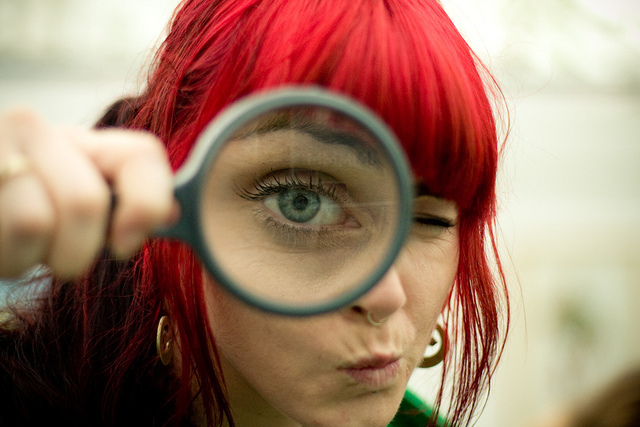 Balancing privacy and openness, self-care and scholarship, is a tightrope walk for many. For individuals who are marginalised, in any respect, the risks of openness and networked participation are often even greater. Digital capability models and policies provide an important starting point for institutions. But without caring hands to craft them in specific contexts, and a willingness to co-create new paths with and for staff and students, the models will not yield their potential, i.e. to help individuals to develop powerful digital identities and gain opportunities for voice, influence and growth. My thanks to Helen Beetham, the All Aboard project, Digital Champions (a staff-student partnership here at NUI Galway) and many others doing this valuable work. I’m happy to be learning and working alongside you. Image source: CC BY-NC-SA 2.0 Ed Yourdon Even Elmo has a mobile phone (Flickr). This image is one of my favourites by the late Ed Yourdon (1944-2016) whose work in both software engineering and photography has inspired me, and many others, for years. How would you answer the question above? Please join the conversation by tweeting your response (using the #oer16 hashtag) or adding to the comments below. How can I help to minimise the cost of textbooks? How can I help students to build and to own their content and portfolios? How might we support and empower learners in building their digital identities and making informed choices about digital engagement? How can we broaden access to education, particularly in ways that do not reinforce existing inequalities? Or perhaps you’ve found that OER and/or OEP lead to further questions, particularly about institutional policies and practices. Along with many others, I hope to discuss some of these questions at the Open Educational Resources conference next month — #OER16: Open Culture. I’ll explore these questions, and others, in my keynote and in conversation with Lorna Campbell and Viv Rolfe in an OER16 preview webinar hosted by ALT later this week. Have you found open practices to be useful, for you and/or for your students? What does it help you to achieve? If open is the answer, what is the question? What is your question? Please join the conversation. Postscript 11-March-2016: Many thanks to all for participating in this discussion, both in comments here in the blog and on Twitter (summarised here in Storify). I look forward to continuing the conversation with you all at the conference. Postscript 23-May-2016: I shared a summary of this discussion in my keynote at OER16 – links available here. As networked individuals each of us makes choices – on a daily and sometimes minute-by-minute basis – about how we share, interact, learn, and teach within and across different online spaces. We do this in the multiple (and often overlapping) contexts within which we work and live… as students, educators, researchers, professionals, parents, citizens, etc. In each of these roles, but perhaps particularly as educators, it is important to reflect on our identities and practices in online spaces – and how we learn and teach in those spaces. Visitors & Residents (V+R) is a tool which helps us to do this. 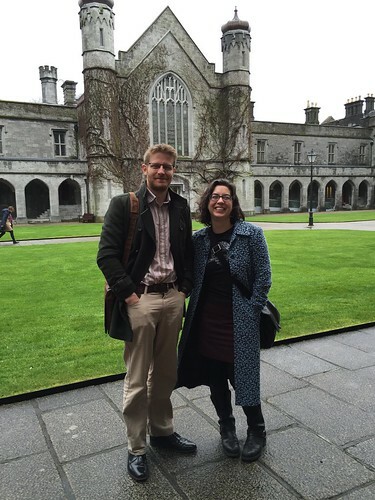 Last week – to celebrate Open Education Week 2015 – we were fortunate to have Dave White and Donna Lanclos here at NUI Galway to facilitate a Visitors & Residents workshop, “Marvellous Mapping”, sponsored by the National Forum for the Enhancement of Teaching & Learning in Higher Education in Ireland. Dave White is Head of Technology Enhanced Learning at the University of the Arts London and Donna Lanclos is Associate Professor for Anthropological Research at the University of North Carolina, Charlotte. Dave is the originator of the Visitors and Residents concept, and both he and Donna are on the research team that developed the related JISC infoKit. 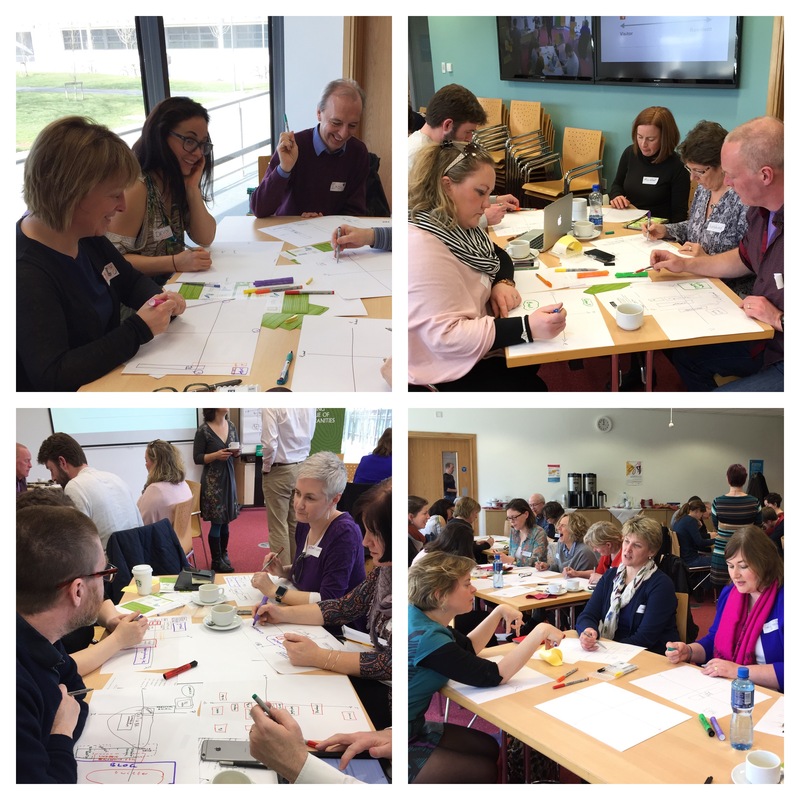 Thirty-five educators – lecturers, tutors, librarians, educational technologists, researchers – participated in the workshop on a gloriously sunny day here in Galway to reflect on and discuss our online identities and practices using Visitors & Residents mapping. Following is a short summary of the workshop. Visitors and Residents is a way of describing the range of ways we engage with the Web. In particular, V+R encourages us to think about the social traces (rather than data traces) that we leave online. In Visitor mode, you might access an online resource in a purely instrumental way, i.e. simply to get some information. In Resident mode, you view the web as a series of spaces or places; you engage with people – not just with information. As a Resident you typically have a profile, and at the extreme end of residency you are visible to others on the open web, i.e. you will show up in search results (e.g. your Twitter profile, your blog, etc.). We are never wholly Visitors or Residents, however. Our behaviour depends on our choices and our context, i.e. what we are doing and with whom. V+R is a continuum. Somewhere in the middle of these two poles, Visitor and Resident, is where a lot of online activity happens – behavior which is “resident in character but within bounded communities”, i.e. resident behaviour which is not visible on the open web. This would include interactions within Facebook groups, within members-only wikis or discussion forums, or in module discussion boards within VLEs, for example. Dave and Donna described Visitors & Residents mapping as a useful exercise for “making the virtual visible”, and thus for reflection. The metaphor helps us to talk about the digital as a space or a place: “the web is a place where we do stuff… mapping helps make it more visible.” The two axes used in V+R mapping are a horizontal Visitor-Resident axis and a vertical Personal-Institutional (or Personal-Professional) axis. You can then add the various tools and spaces that you use to this map, locating them according to how you use them. For education professionals the line is often blurry between the professional and the personal. Convergence is an interesting concept to consider: how comfortable are we with this, or do we deliberately want to separate these? There are many ways to separate the personal from the professional, or even to separate different strands within our personal and professional lives. Some people separate these by having different personas, e.g. on Facebook, Twitter, Google+, blogs, etc. Some enact boundaries by using different devices for different activities, e.g. gaming on their PC, work on their laptop, no email on their phone, etc. We make our own boundaries, consciously or unconsciously – separating or merging the different spheres of our lives. During our discussions at the workshop, there were differing opinions about this. Some found that making their personas and practices separate (personal vs. professional) made things easier, others found that this made things more difficult. One thing was clear, however, and that was that the act of mapping, of making visible, was a significant aid to both reflecting on these ideas and discussing them with others. During the workshop, each participant created their own map and had the opportunity to share and discuss their map with others. As a follow-on activity, Donna and Dave asked participants to think about where they might want to change their existing practices, i.e. what might they like to do more or less of? Participants annotated their maps with arrows to show the direction of these proposed changes. When discussion moved to our practices as educators – in various roles (lecturers, tutors, learning technologists, librarians, etc.) – the VLE was the focus of some interesting debate. Some participants see the VLE moving on from being a repository to becoming/being another learning space. One participant, a tutor in a fully-online course, noted that the discussion forum within the VLE for that programme is considered to be the “heart of the course”. But what do students think? In their work with students, Donna and Dave found that many students liked the idea of the VLE as a consistent home or a hub for each module, with other connections (e.g. social media) being voluntary. As recounted by Dave, one of these students noted that they liked the fact that “there’s always somewhere to come back to”. In general, for undergraduate students, many of whom are just forming their voice, it is useful to have a home, a place to start and to return. But must this home be within a VLE, or could it be a more open, networked hub? As one participant noted, for those who operate predominantly in Resident mode it can be tough to have a VLE-based course home page. This can be “just another place to visit”, “a dead end” rather than a place on the web that can be integrated with other learning activities and networks. Compromises can surely be struck. As educators, we need to think about the best ways to facilitate a home or hub for our courses – depending on the particular course, the context, the needs and preferences of our students, and our own abilities, experience, values, and preferences. There were many other dicussions on the day, but this summary provides an overview. Overall, the workshop provided educators with an opportunity to reflect on our own online practices; to share perspectives on learning spaces, digital identities, and openness; and to consider how such insights could inform our teaching practices. The Visitors & Residents mapping exercise proved to be a useful starting point for reflecting on overall approaches to learning and teaching, for informing ways to work with students online, and for considering the relationship between the formal institution and online culture. On a personal note, it was a joy to meet and work with Donna and Dave in Galway after connecting online for some time. Along with my co-conspirators in CELT, Sharon Flynn and Iain MacLaren, we all enjoyed the “eventedness” (thanks Dave!) of bringing the workshop to fruition. Thanks to all of the workshop participants from Galway, Donegal, Sligo, Limerick, Athlone, and Dublin (and remote participants from within and beyond Ireland) for your openness, enthusiasm, and thoughtful feedback. CELT will follow up with the specific requests for training and information which emerged during the workshop. The take-home message for me was that even when we inhabit the digital spaces of the online world, we are seeking something very simple and fundamentally human: a sense of belonging, connection and community, moments of fellowship with others. For educators who are working to create meaningful learning experiences for students in real, online and blended learning environments, that is something worth remembering. 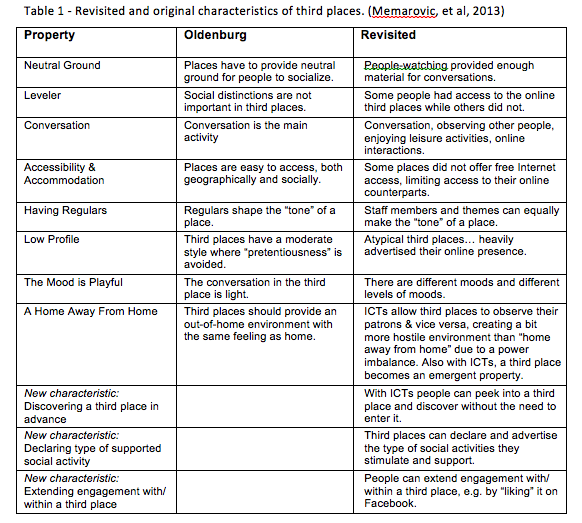 White, Dave & Le Cornu, Alison (2011) Visitors and Residents: A new typology for online engagement. First Monday, 16 (9). We are delighted to be hosting a visit by Donna Lanclos and David White to the National University of Ireland, Galway on March 13th next. Donna and Dave will co-facilitate a workshop entitled Marvellous Mapping: Reflecting on online identities and practices using Visitors and Residents mapping. In the workshop, we’ll explore the Visitors and Residents (V&R) concept and use the V&R mapping exercise to reflect on our online identities and practices, and the identities and practices of our students. The workshop is free to attend and will take place from 11am to 3pm on Friday, March 13th. The event is sponsored by the National Forum for the Enhancement of Teaching & Learning in Higher Education in Ireland as part of the 2014-15 National Seminar Series — and is also cross-listed as an event in Open Education Week 2015. 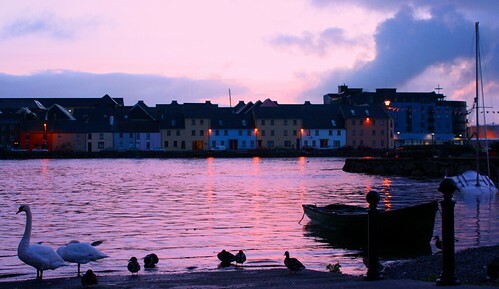 Please consider joining us in Galway! If you cannot attend, the main section of the workshop will be live streamed and we’ll also be active on Twitter using the Visitors and Residents hashtag #vandr (latterly shared by some lovely guitars 🙂 ). To sign up for the workshop or to request details of the live stream nearer the time, please check out the Eventbrite link. Why Visitors and Residents? For our students, to be in higher education is to learn in two worlds: the open world of informal learning and the predominantly closed world of the institution. Many students experience a dissonance between their experiences of formal and informal learning. It is not just students who experience this dissonance, of course. As networked individuals, educators also make choices about the extent to which we learn, teach, share, and interact within and across different online spaces. How do we establish our identities and our presence, and build learning communities, in different online spaces? The Visitors and Residents approach has been described by Dave White as “a pragmatic way of understanding online learning practices which often go undiscussed in education”. The V&R mapping exercise has proved to be an excellent starting point for reflecting on overall approaches to teaching, for informing ways to work with students online, and for considering the relationship between the formal institution and online culture. Overall, the workshop will provide educators with an opportunity to reflect on their own online practices, to share perspectives on learning spaces and openness, and to consider how such insights could inform our teaching practices — particularly with respect to bridging the divide between formal and informal learning. Please join us! Image source: David White, TALL blog. What exactly are your students up to online? For three days last week I participated in #altc (the Association for Learning Technology Conference) at the University of Warwick — attending in person for the first time after participating virtually for several years. It was a joy to meet so many online friends and colleagues for the first time and to take part in such an inspiring programme of events. I was very grateful to be asked to give one of the keynotes at the conference. It was an honour to keynote along with Audrey Watters, an educator whose work, integrity, and friendship I value greatly. And a privilege also to speak along with Jeff Haywood. The innovative work being done at (and shared openly by) the University of Edinburgh in the area of online and open learning is important for all of us in higher education. My keynote was titled Navigating the Marvellous: Openness in Education, drawing on a metaphor from Seamus Heaney. Links to the keynote and related items are included here. Many thanks also to Bryan Mathers @bryanmmathers, Simon Thomson @digisim, and Sheila MacNeill @sheilmcn for creating several beautiful images during the keynote. These are included below, with links to Bryan’s, Simon’s, and Sheila’s sites. Please check out these sites for other wonderful work, both from #altc and other events. Finally, thanks to all of the organisers, the co-chairs, the presenters and participants for such a warm welcome and for making ALTC 2014 such an enjoyable and stimulating learning experience. It will stay with me for a long time to come. When we ask our students to share online — in a discussion forum within an LMS; in a wiki, course blog, Google Doc or Facebook group; on Twitter or anywhere on the open web — we are inviting not just online interaction but an enactment of each student’s digital identity. Involvement in or resistance to online interaction is largely rooted in ideas and beliefs about identity, privacy, voice, authenticity and power. These ideas and beliefs may be articulated easily or they may previously be unreflected, but they will be invoked each time we ask students to participate online. As connected educators, it is essential that we think deeply about digital identity — both our own and our students’. In research on social networking within education, for example, Keri Facer and Neil Selwyn (2010) found that students saw a clear divide between “social interaction” and “educational interaction” on social networking sites, based on existing educational assumptions that “learning is organised around the individual and… oriented around content rather than process”. However, this may be changing. In their review of the research, Facer and Selwyn concluded that educators might need to “pay attention to social networking sites as important for the social construction of identity, including personal, social and learner identity”. Regarding digital identity and digital dualism, as educators we must be willing to critically examine our own assumptions as well as the expectations of our students. Are my online and offline identities enmeshed? Is my online identity reflective only of my professional self, or of me in other contexts as well? How comfortable am I with sharing online — with colleagues, students, an unknown audience? How comfortable are my students? How does the power differential in the educator-student relationship affect the enactment of our digital identities in online spaces? Important questions such as these must be explored. Embracing the notion of an augmented self does not preclude critical analysis of differences in the online/offline experiences of space, time, visibility, privacy and power. Additional resources were considered and discussed during the presentation and ensuing discussion, including the following contributions from danah boyd, Bonnie Stewart, Chris “moot” Poole, Alan Levine, Neil Selwyn, Howard Rheingold and Rhona Sharpe, Helen Beetham & Sara de Freitas (as shown below). My thanks to all. In previous posts, I have shared some of the resources I use for exploring digital identity and digital literacies with students (e.g. Resources for exploring digital identity, privacy and authenticity and Learning and teaching digital literacies). All of these resources and approaches have been developed through my work with 2nd year Computer Science and IT students as part of a Professional Skills module. This year we are using an open course blog to share our work. Instead of preparing and posting static presentations as class notes, I prepare a blog post after class each week, summarizing what we explored and discussed. Students and others are free to comment and engage in discussion on the blog. Later this term, the course blog also will link to student blogs, as these are developed. We also have a course Twitter account @CT231 which you are invited to follow — or simply check our course hashtag #ct231. This week’s class on Exploring Digital Identities was fascinating. Students engaged in reflection and discussion both in class and online. We were joined online (via Twitter) by Bonnie Stewart, whose excellent blog post Digital Identities: Six Key Selves of Networked Publics we analysed. The discussion continued on Twitter and on our blog with contributions from @sharonlflynn, @marloft, @tweety4bird and @fboss (so far). Many thanks to you all! Please check out our blog (link below) and feel free to join the conversation — we welcome your thoughts.